The Duke of Cambridge has concluded a three week attachment to the United Kingdom’s Security and Intelligence Agencies (the Secret Intelligence Service, the Security Service and the Government Communications Headquarters). The Duke of Cambridge's attachment comes as the three security services continue their vital work both at home and abroad to keep our people and our allies’ safe. The Duke’s assignment began with a week at the Secret Intelligence Service – MI6 – who work secretly overseas, developing foreign contacts and gathering intelligence that helps to make the UK safer and more prosperous. The Duke of Cambridge, on the work of the UK's security and intelligence agencies. The Secret Intelligence Service help the UK identify and exploit opportunities as well as navigate risks to its national security, military effectiveness and economy. With the threat level for international terrorism in the UK set at SEVERE or above for the last five years, the Duke was keen to see first-hand the extraordinary work that staff across the Security and Intelligence Agencies do. They are driven by an unrivalled patriotism and dedication to upholding the values of this country. 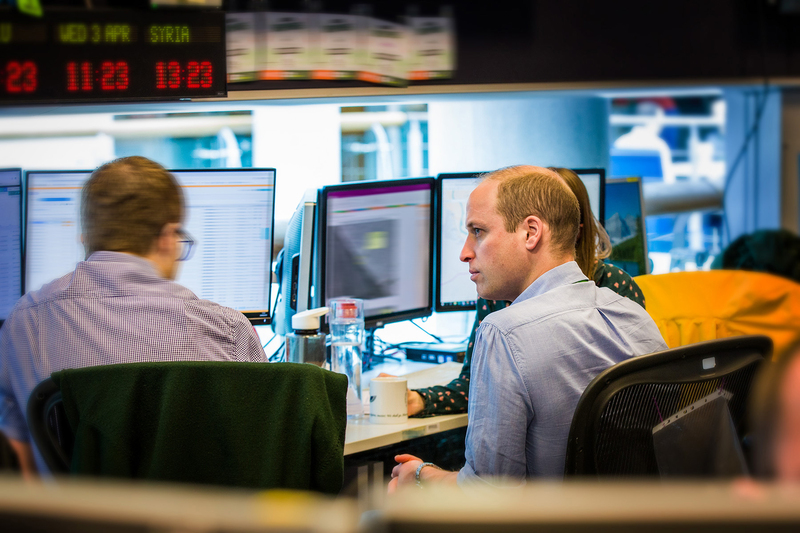 “Having The Duke of Cambridge spend time with our teams was an incredible opportunity. William worked exceptionally hard to embed himself in the team and comfortably held his own amongst some highly skilled analysts and operators.